Hudson's Bay has a Flash Sale on now! 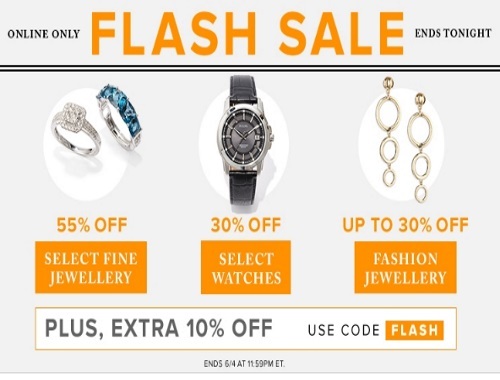 Save 55% off select fine jewellery, 30% off select watches and up to 30% off fashion jewellery. Also get an extra 10% off with the promo code FLASH to get the discount. Offer is online only util 11:59pm ET on June 4, 2017.